the three colours everyone will be wearing this season! I truly am the last person on Earth who should be sporting this colour. I have blonde hair and possibly the palest, pinkest complexion possible. Yet after my Pinterest feed being bombarded with various street styles outfits featuring the hue I’m completely convinced. If I of all people am willing to sport tis, you can too! It pairs almost perfectly with denim. 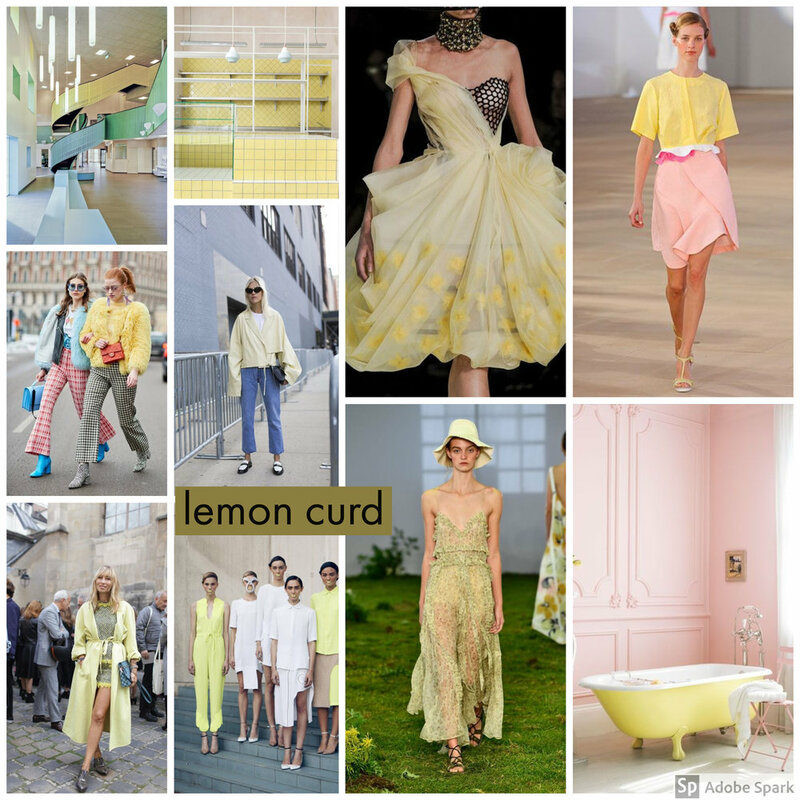 Pastel yellow on pastel pink has become a fan favourite amongst the patrons of fashion month and a quick glance is more than enough to understand why. Find more outfit ideas here! As a child I had an innate love for piggies, with this came an affection for any cartoon featuring swine. I developed a particular love for Miss Piggy and of course her beau, Kermit. Despite this admiration, never in a million years did I expect I’d be spruiking about the beautiful features of this colour and its surprising, unassuming versatility. Pair it with your favourite wicker bag for premium 70s vibes. As much as it pains me to say it, I think Kylie Jenner may have singlehandedly rebirthed this trend at her 21st birthday party. Y’all know the dress I’m talking about and if not it’s probably about time you relocated from the rock you currently reside under. Bright pink hues give me major flashbacks to the early 2000s - when neon colours & Henry Holland slogan tees were everywhere. With this nostalgia, comes the ptsd of reliving my awkward tween years. I’m willing to do this solely because the reward of sporting the colour is bound to be plentiful. I’m about to be the cutest fashionista and you can too! If you’re feeling extra bold you can create an entire outfit out of fuchsia. If you’re in an experimental mood pair the popping pink with orange or lime green. If you’re looking for something a little more understated and trying to ease into this fashion statement pair with lighter hues such as white and pastel pinks.